Fancy chocolates claim high prices and elaborate packaging while simple cups of cocoa warm the common heart and little morsels dot everyone’s favorite chip cookie. From the high brow Godiva to the drugstore Hershey bar, chocolate followed the captive and immigrant story: birthed in Mezzo America, enslaved by Spanish conquistadors and settled for new life from West Africa to Malaysia. No longer a stranger in a strange land, the whole world clamors for chocolate and protects its heritage. Chocolate lore unites friend and foe. It’s brought prosperity to adopted locations and has the strength to show kindness in unexpected places. The gift of chocolate follows on the heels of our seasonal summons toward Peace on Earth. Let us share chocolate cookies and lay down differences. 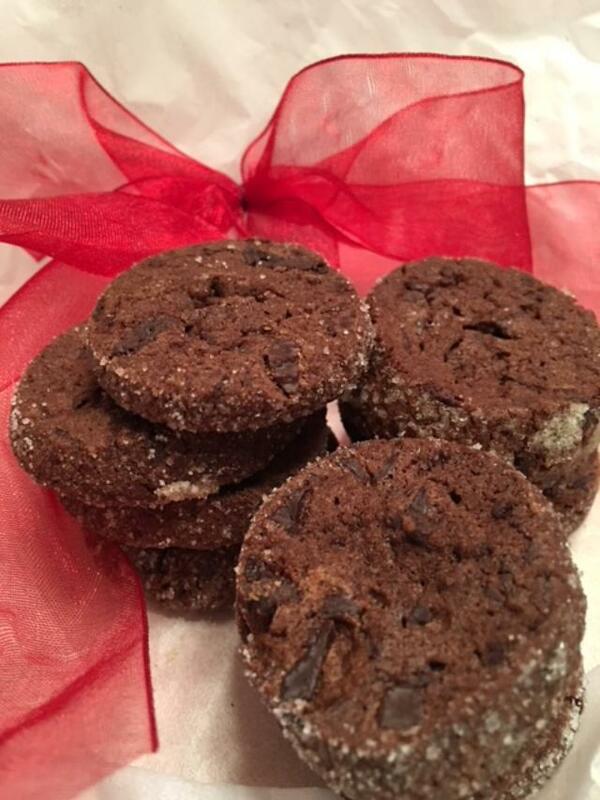 Dorrie Greenspan first published this chocolate shortbread cookie under the name Korova Cookies, a recipe from a Parisian pastry chef, and she later named them World Peace Cookies. Just one bite will lift spirits toward harmony. ‘Tis the season to share chocolate and set our minds on good will. Sift together flour, cocoa, soda and salt. Cream the softened butter with the sugars using a mixer or a deep bowl and a wooden spoon. Add vanilla and beat until the mixture is light. Slowly add the flour mixture, stopping the mixer and using a plastic spatula as the dough stiffens. 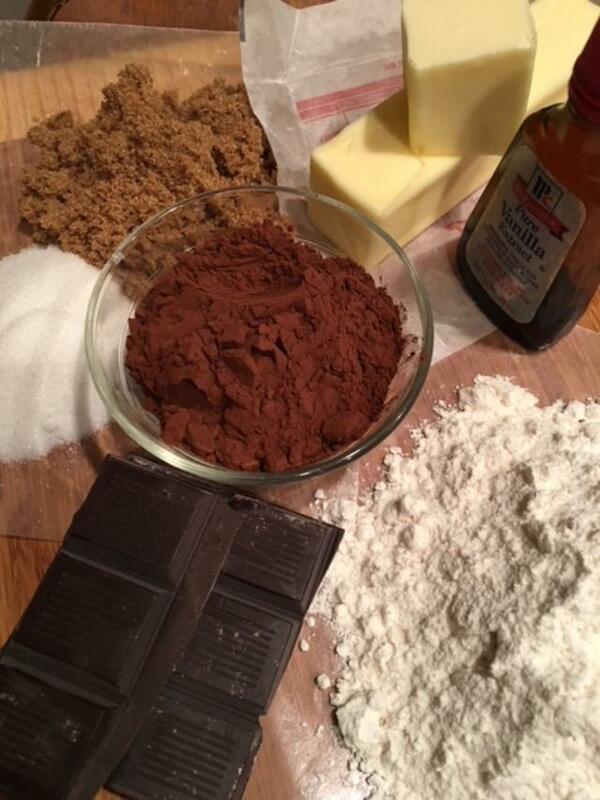 Scrape the dough onto a clean counter top, add the chopped chocolate and mix with your hands. Preheat the oven to 325º. Slice chilled dough into ½-inch coins. Place cookies on ungreased or parchment lined sheet pans. Bake for 12 minutes. Cookies may seem soft, but they will firm up as they cool. Do not over bake or cookies will be dry. Remove from sheets to cooling rack while still warm. Makes 75 irresistible cookies, perfect for Christmas! You are currently browsing the Mary Jo's Kitchen blog archives for December, 2017.